We are spending a lot of money every year to advertise against the ivory trade and the gruesome massacre of African elephants. We love elephants and we would like to contribute to the cause with a simple, cost effective idea. Instead of new media, we thought of an old media. Probably one of the oldest one, since the art of painting elephants dates back to times well before Mr. Gutenberg. Some people think painting elephants is somehow cruel but it depends on how you paint them and what colors you are going to use. There are many natural, water-based ingredients and natural colors for body art that are perfectly suitable for elephants. And the message they would carry is done on their best interest: survival. Painted elephants could appear on zoo, circus, or living plazas in the city. They wouldn’t pass unnoticed and people would take pictures and post them on social media, expanding the message well beyond the single initiative. The investment would be very little compared to message’s amplification. It would be such an opportunity to have these majestic animals really close to people, showing their beauty and grace with their imposing presence. It would be the occasion, as well, to bring the topic to where it really matters. Pictures of African elephants are sometimes perceived as a distant issue, an exotic problem happening thousand miles from where we live. 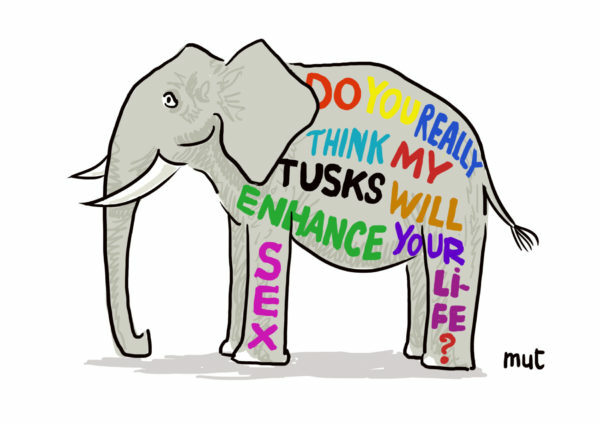 Elephants, by turning into living media, would speak in first person for their rights. First and foremost, the right to live. Above: Leo che Colorman at work on a 8 year-old female pachyderm named Topsy. Leo suggests big brushes with a rough bristle and, of course, buckets of water-based paint: elephant skin is full of wrinkles sucking paint like a sponge. (photo: courtesy of the author). 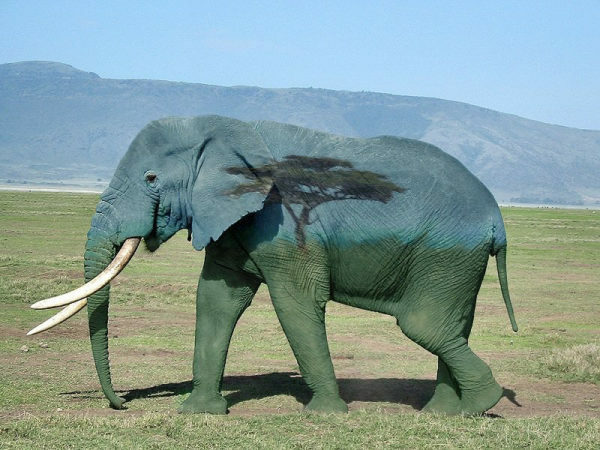 Above: Elephant’s camouflage: is it telling us it’s going to disappear soon? 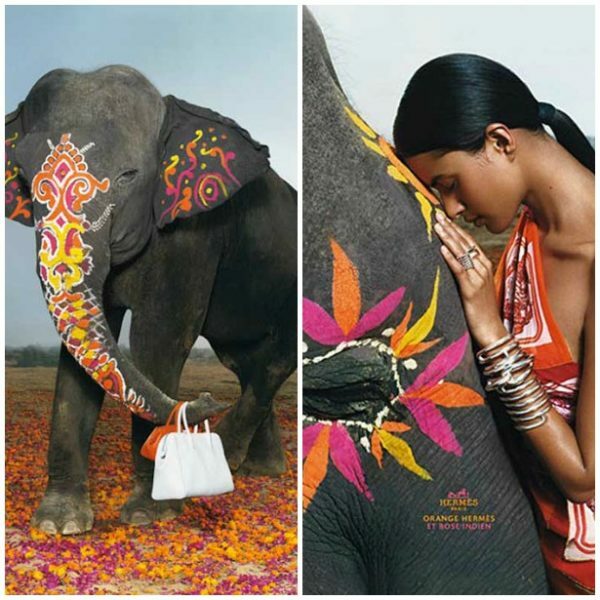 Above: print campaign by Hermes (2008). 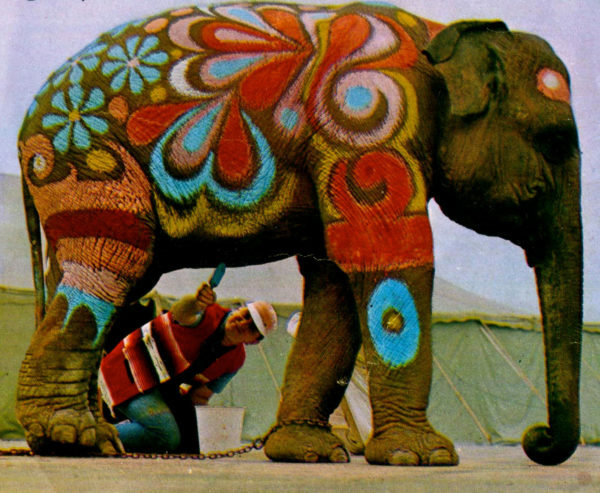 May we suggest, as an alternative to pure aesthetics, a less trivial reason to paint an elephant?